So how many were painted already when you started, and how many have you painted since you started project? 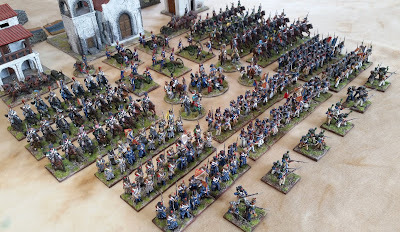 Dean, an outstanding parade of superbly painted Napoleonics. 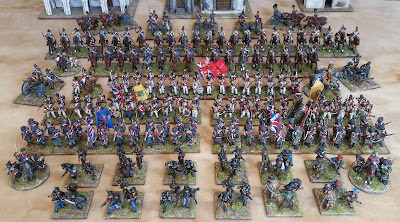 Two super looking forces, and more than enough to start playing with. . You probably need more infantry, but as tyou note, if you split the infantry units, that doubles their numbers (we use 16 to 18 figure infantry units, too, although we don't play BP). Superb armies Dean, really impressive! I love a parade! Outstanding collection you have built in such little time. That is quite the collection! So nice to see them all in review! Lovely collection and always nice to hit that moment of having enough mass for a game. Look forward to your comments about your game BP game. I have the supplement, so will bring it out and have a browse at the various scenarios. Beautiful... Well done. 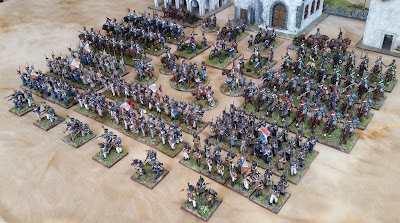 I especially like your French dragoons, a great looking unit. I am looking forward to the release of the 'new' BP rules. Excellent parade of troops Dean and a collection to be proud of! Lovely looking parade and two fine armies! They look splendid! Well done, Sir! 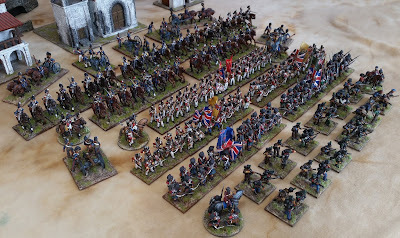 You've motivated me to work on my Napoleonic collection - using your 16/8 figure unit modifications! Wish me luck! Quite impressive collections. I am starting my Napoleonic adventure and hope to have that number of troops as you, soon. Awesome looking figures Dean, and a great "pass in review" write-up! Magnificient looking force! I‘m quite amazed by the speed you powered through this project, especially considering the constant high quality. 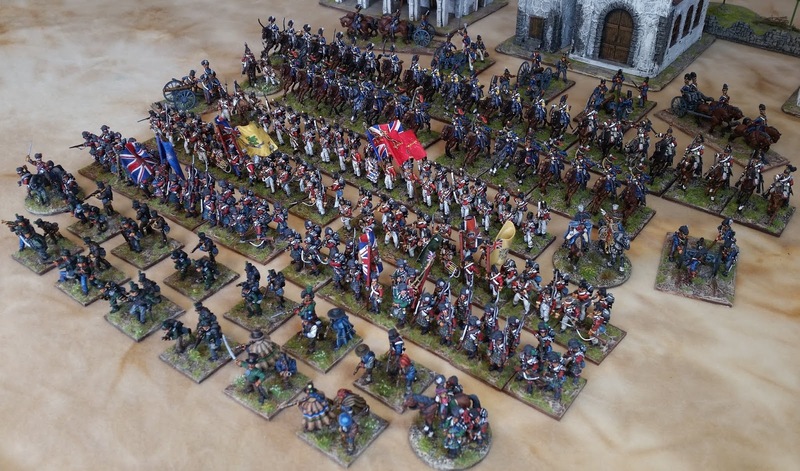 Great armies, Dean!We are waiting for news from the battlefields! Great "pass in review" of your Napoleonics! It was great taking them for a spin at "Fix Bayonets 2018!" Just a small amount will be used in a game on Saturday.